Happy New Year! Good Luck and Prosperity in the Year Of The Monkey! Re: 新年好! Happy New Year! Good luck and prosperity to you too, or whatever else is more appropriate for a Buddhist! 2016 is the 4713th Chinese Year. According to Chinese Horoscope calendar, the first day of Red Monkey is on February 4, 2016. 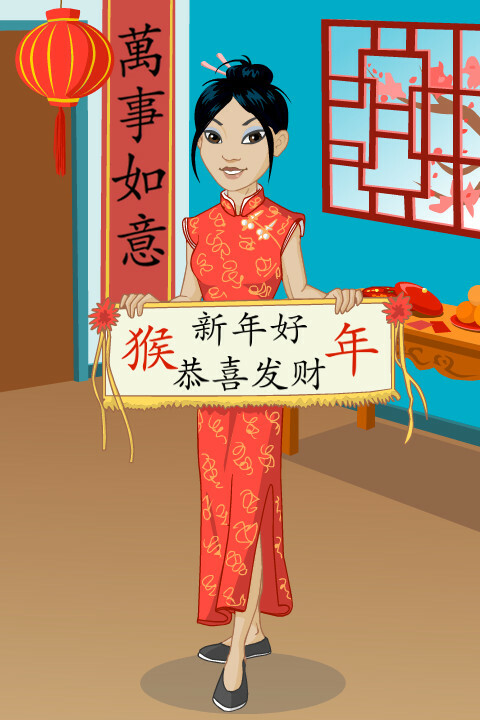 However this day is not the Chinese New Year Day, Chinese New Year Day is on February 8, 2016. I've seen a few commercials that say "lunar new year" instead of "Chinese new year". Is this to be inclusive of other cultures who use the lunar calendar? Exactly correct. Lunar New Year is an important festival in Vietnam and Korea for example. And yes, I posted my original greeting on New Year's Eve, because I didn't expect to have access to the internet while I was busy with helping my family with preparing and eating Reunion Dinner. I'd say this thread was started before New Year's Eve because time zones.